A world of comfort and style surrounded by an untouched natural paradise. 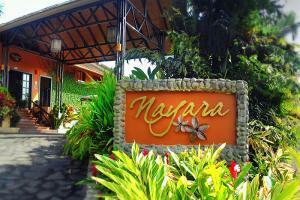 Located on the outskirts of the Arenal Volcano, Nayara Resort Spa & Gardens is the experience of a lifetime. Every room at the hotel has been designed to provide the utmost in comfort and style while maintaining a close connection with the natural surroundings.